The Institute of Auctioneers and Appraisers in Scotland (IAAS) has today (Monday 18th March) launched a campaign highlighting what it calls the “insidious use of closed-door deals” to shield the major buyers from the “transparency and honesty that can only be guaranteed in the livestock auction ring”. The call comes as major buyers, often those supplying UK supermarket chains, increasingly demand direct contracts with primary producers, and in the case of cattle, often making further stipulations on maximum movements over the entire production cycle. The Institute alleges that these stipulations often amount to nothing more than a deliberate attempt to avoid price scrutiny in the ring. The campaign comes after a series of complaints from farmers who have found themselves short-changed by direct contracts, particularly at times when short-term market fluctuations have been avoided by the major buyers. Whilst there has been a gradual rise in direct contracts over the past decade, the movement has become even more acute over the last twelve months, with the growing and noticeable absence of buyers representing supermarket suppliers from prime sheep auction rings across the country. IAAS is now launching its “Use your mart” campaign, urging farmers to take back control and demand transparency in pricing by selling through the ring. “Supermarkets are demanding more and more direct contracts at the very time when farmers need to ensure that they are genuinely receiving a fair price for their produce. This is a practise which puts the efficiency of the rural economy at risk and might even be deemed by the authorities to be anti-competitive. Access to a fair pricing regime, as delivered by the network of livestock markets that we represent, is the very cornerstone of fair farming practice. We want to work with supermarkets as important and valued stakeholders, but now is the time for this evasion on price to end. “You would almost think that the UK’s major retailers were seeking to deliberately avoid fair and transparent pricing in our food chain. Livestock markets have been the backbone of Scottish livestock production for over 100 years and are the traditional and most efficient means of moving livestock through the different stages of production, ensuring that at each and every stage the buyer and seller receive the best price possible in the most transparent of environments, a public auction. Instead, supermarket buyers are placing increasing demands on their specifications, limiting or excluding cattle that have been deemed to have had too many movements. This move is despite leadership from IAAS and member livestock markets across the country, who have consistently invested in premises and practices to incorporate cutting edge technology to provide ultimate traceability and confidence. At a time of such uncertainty, when demand could fluctuate from one extreme to the other, producers need to know that they can sell at any point, long keep, forward or finished, and be guaranteed a fair price, and only the auction system can offer this. Only the auction system can guarantee an outlet for livestock at any stage with the security of payment on the day. Cash flow in the current climate is a lifeline for many producers and may become increasingly important. IAAS represents every livestock market in Scotland, from Caithness to Dumfries, and is embarking on an integrated campaign to highlight the crucial role played by livestock marts across the country and focussing on the flexibility and transparency that is provided to farmers buying and selling at the ring. 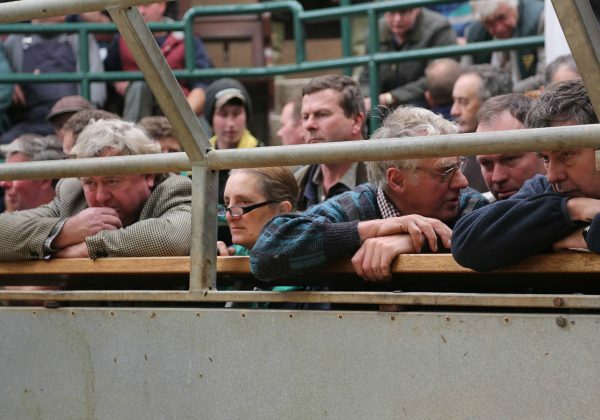 Whilst a number of Institute members have collaborated with processors in order to maintain market share and are marketing livestock direct to specific outlets, the auction system remains their main focus. It claims that at times of huge uncertainty for the rural economy, the ability to trade at a time of the farmers’ choosing, and in the clear knowledge that the price was transparently the best that could be delivered on the day, is more important than ever. “We know that the undermining of rural livestock markets by directly contracted arrangements is a real threat to agricultural activity in some of the most remote and fragile areas of Scotland. Once rural markets close, they remove a vital part of the support network for viable agricultural activity, and such closures look to be irreversible.